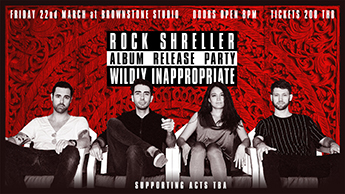 Mark your calendars: our album release party for ‘Wildly Inappropriate’ is coming this March 22nd at Brownstone Studio in On Nut! Everyone in attendance will receive a free album download card. Local artists and DJs will be playing as well. 200 Baht entrance for a night to remember!